Normally, a bonanza like this would go straight towards making strawberry jam. But there just isn’t room in my schedule this week. So these little beauties are headed to the freezer! I LOVE being able to buy in bulk at great savings and then freeze for later use! 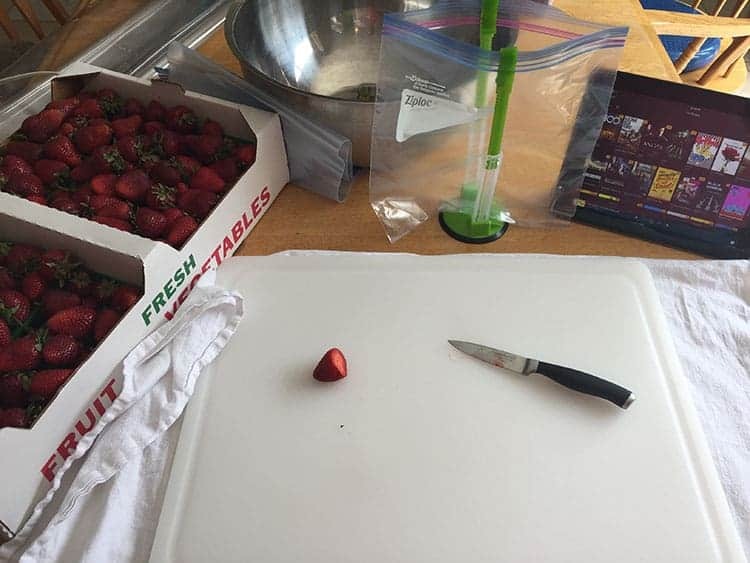 Or, use the frozen strawberries to make jam at a later date! You can make both regular cooked jam and freezer jam from pre-frozen strawberries! 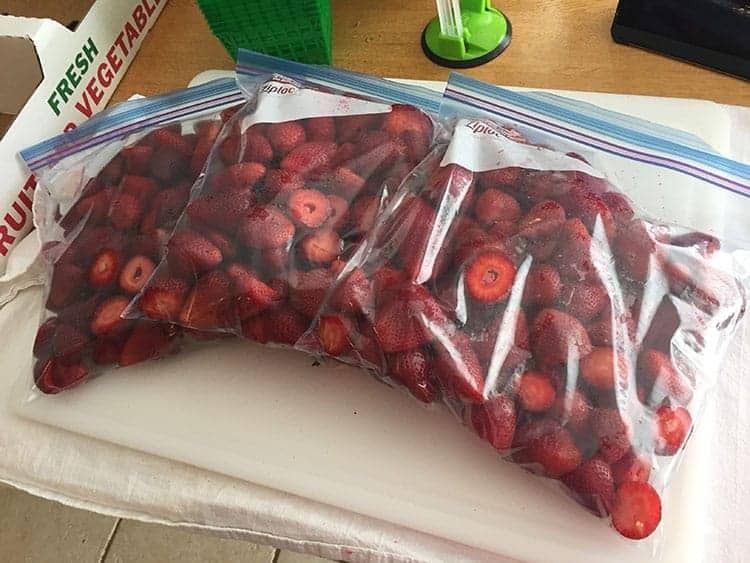 I also use frozen strawberries to make strawberry syrup occasionally. Or let them thaw and dice them up to be used in strawberry muffins (hmm, I need to do a post on my make-ahead muffin mix). Or toss them in oatmeal or various quick-breads. So many uses! 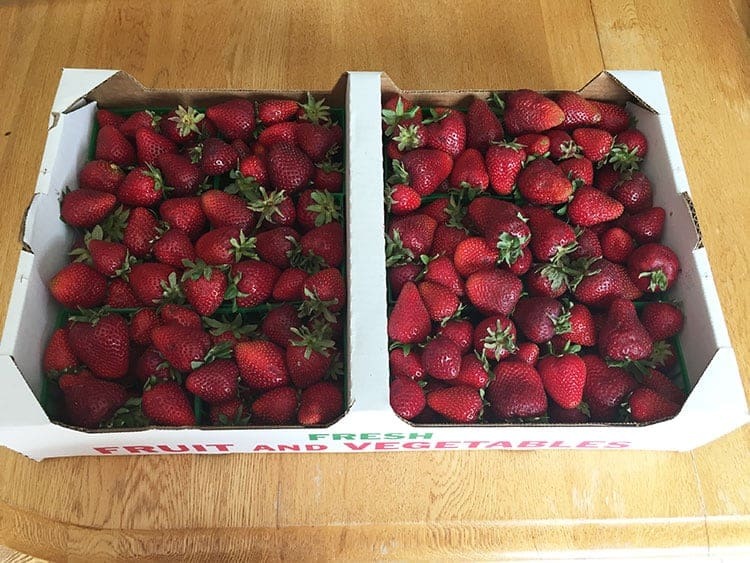 Great tips, and perfect as summer berries and farmers market seasons winds down. I’m a busy working mom (with side hustle too!) of two kids and always love ideas on how to keep them stocked in fresh food, even when life is crazy. Thank you!